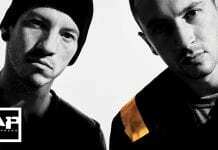 Boston-based clothing company Johnny Cupcakes have announced their collaboration with Linkin Park via the band's official fan club, Linkin Park Underground. 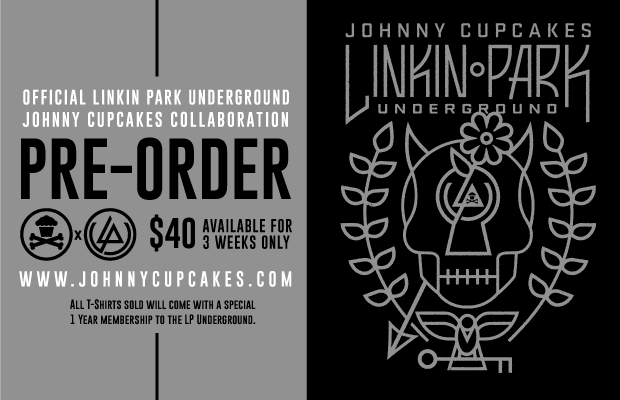 The pre-order for JC x LPU's specially designed, limited edition t-shirt will run now until November 17, 2014, with each purchase including a one year membership to the LPU. Perks of the LPU community range from its exclusive online social platform, pre-sale ticket opportunities and chances to meet the band at select shows around the world. Next month, LP will embark on the European Hunting Party Tour with support from Of Mice & Men.